Yamaha expands its MIO brand with the unveiling of Mio Aerox S at the Yamaha flagship shop, YZONE, in Greenfield, Pasig last September 19, 2018. 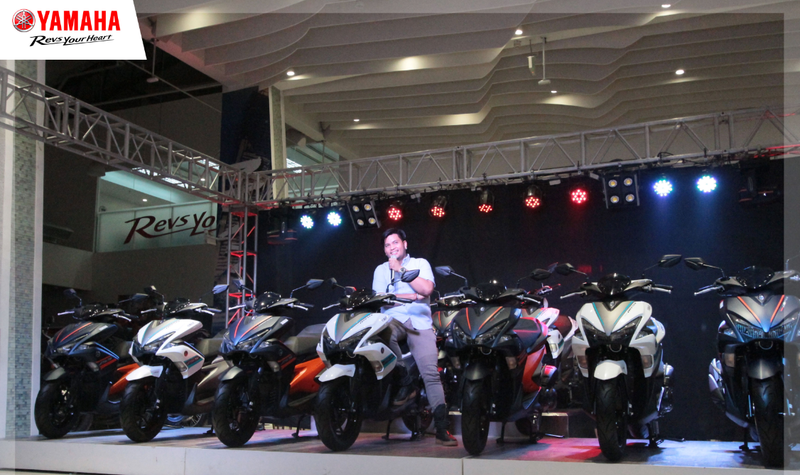 The Grand Launch was digitally live streamed in a special edition of YRIDE, the brand’s first ever web series in the Philippines. 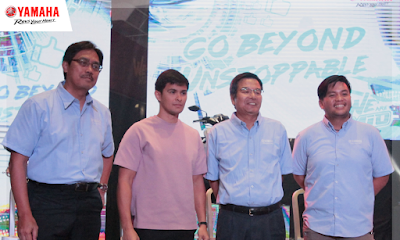 Robi Domingo hosted the event with Yamaha endorser Matteo Guidicelli, who shared his love for the Aerox. Matteo currently owns an R1 super sport. Those who watched had the chance to interact just as much as the guests invited to the event. 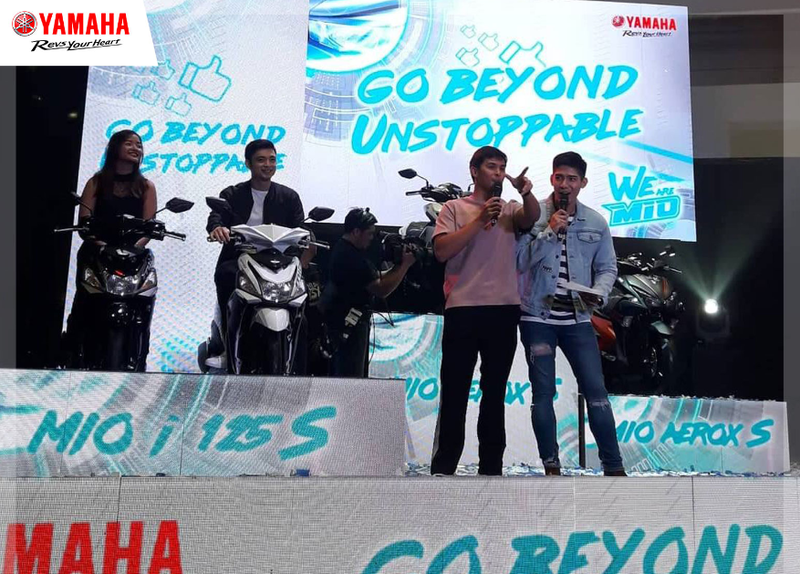 Through the hashtag #YamahaBeyondUnstoppable they could answer questions or share their opinion that, if chosen, merited a prize. The show included the highly touted UPEEPZ Dance Crew that symbolized the ever-evolving range of Yamaha’s creativity in motion. Undoubtedly one of the most popular editions of the Automatic lineup, it is now equipped with the Yamaha exclusive Stop and Start System. This technology allows you to save on fuel and lower emission by turning off your engine when you’ve been idle for 5 seconds. You don’t lose time getting back to the ride though as system works together with the Smart Motor Generator to ignite your engine easily. This Motorcycle also has an ABS (Anti-Lock Brake System) installed on the front wheel, VVA (Variable Valve Actuation), and Smart Key System for Keyless ignition. 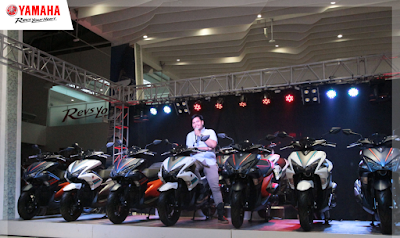 As an added treat, those interested can get the MIO Aerox S on-the-spot during Yamaha’s special event in 10th Avenue, Caloocan City, on Sept 29- 30. How? By reserving a slot to purchase the motorcycle on Yamaha’s Mio Aerox S reservation website: buymioaerox-s.com.ph. It’s simple, just visit the page, fill out personal details and get your reservation code, then wait for a verification from Yamaha Personnel. After being contacted, all that’s left to do is avail the motorcycle and take it home. Of course, if you miss your scheduled slot, it will be forfeited. Payment is through Cash basis only. This gives a whole new meaning to first come first served basis. The Mio Aerox S comes in Matte Blue and White, a bevy of desirable features, magnificent design, with an SRP of P122,900. It’s time to go beyond unstoppable with Yamaha.